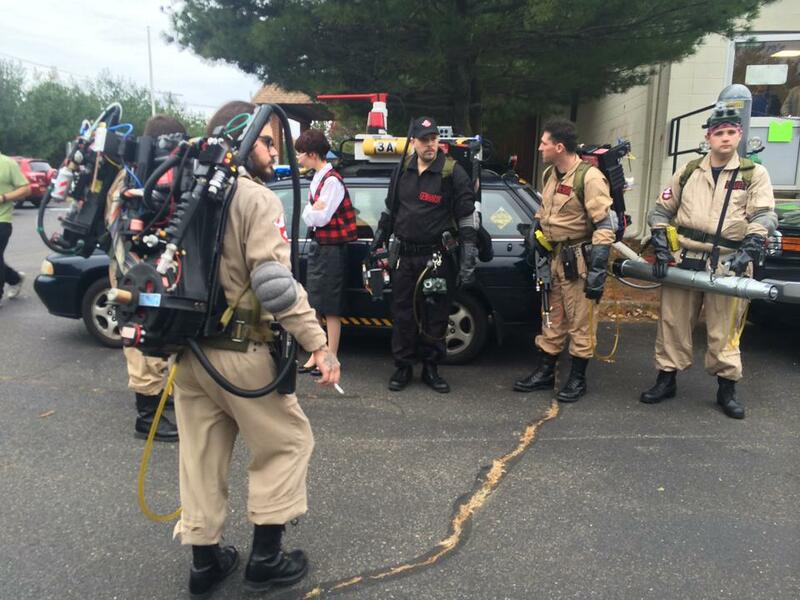 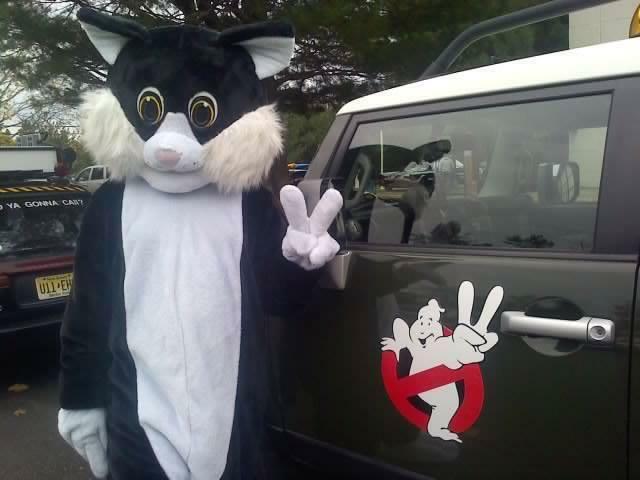 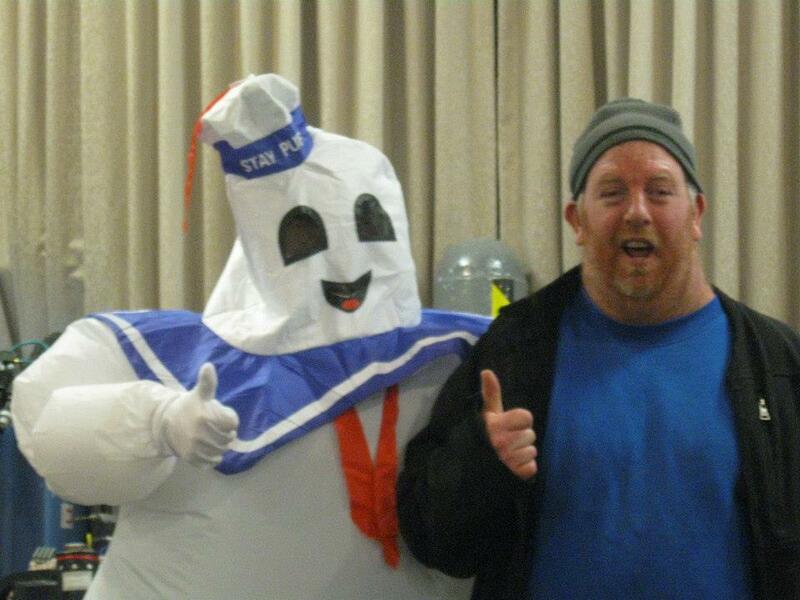 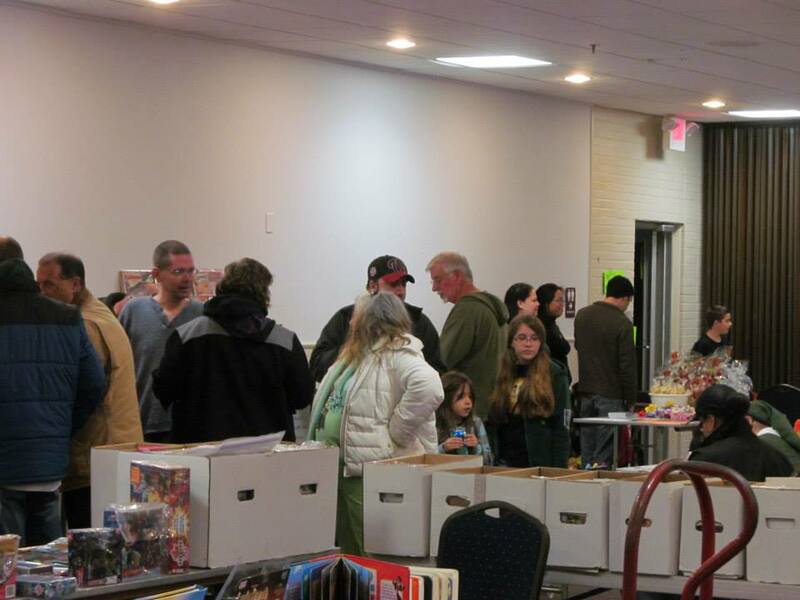 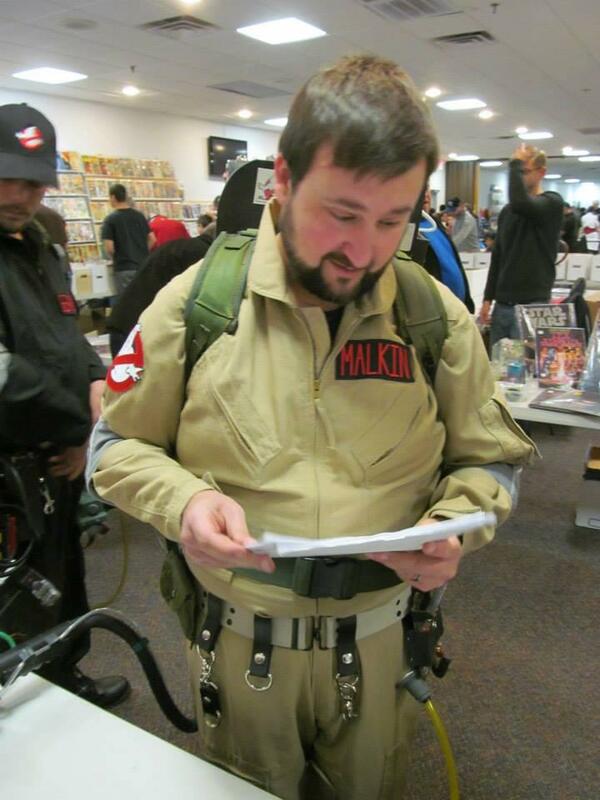 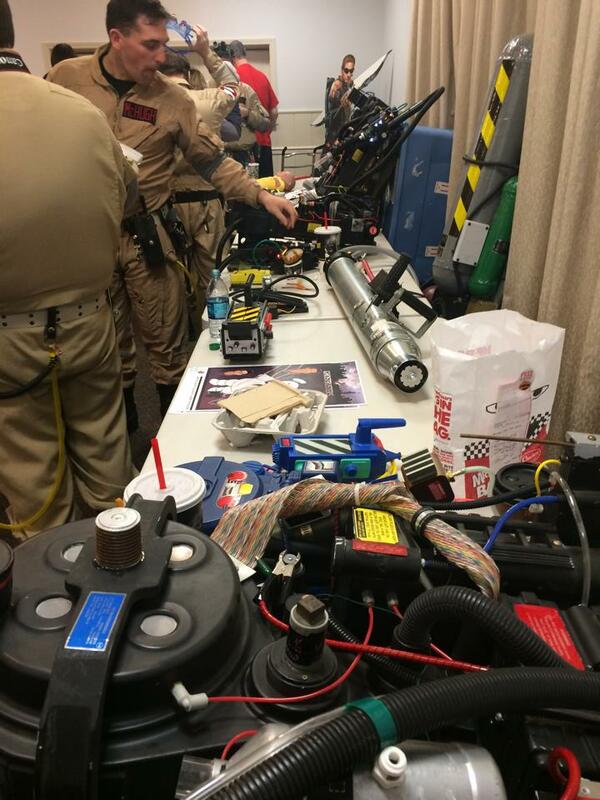 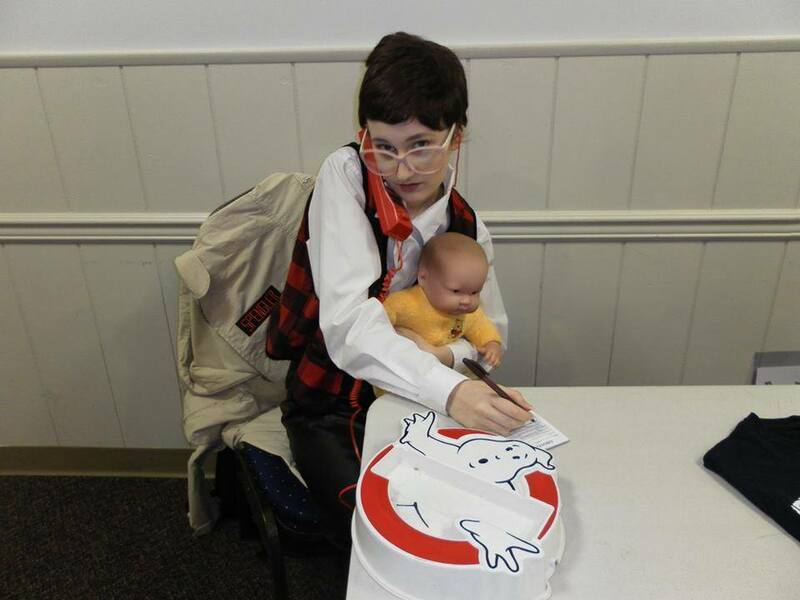 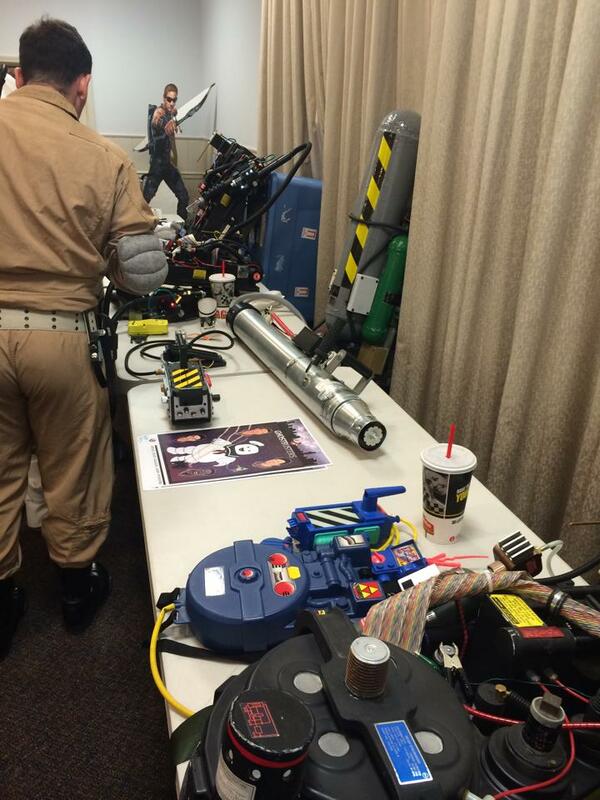 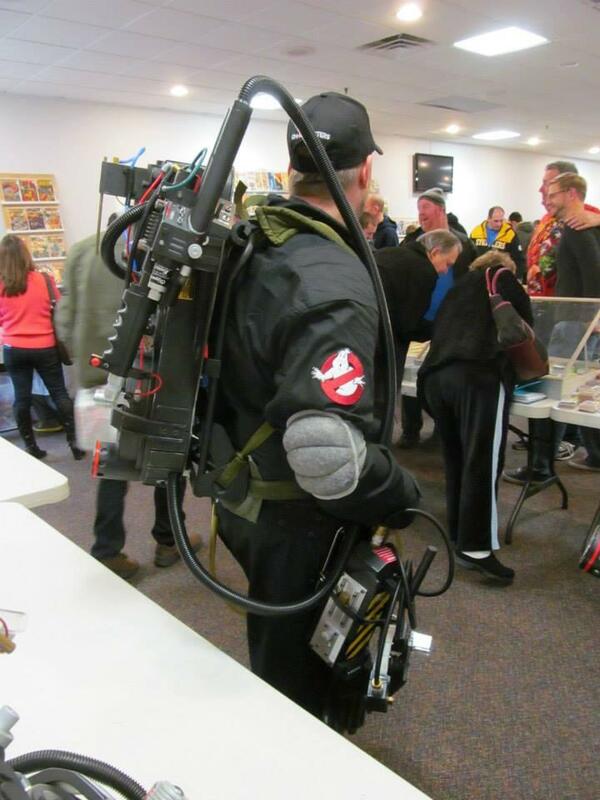 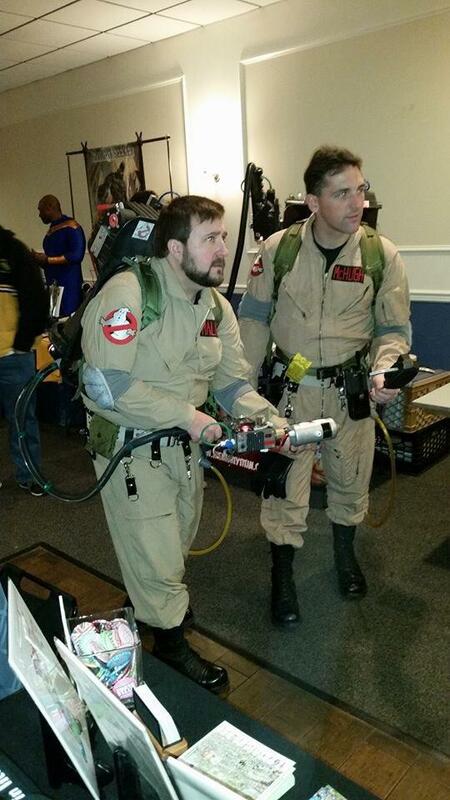 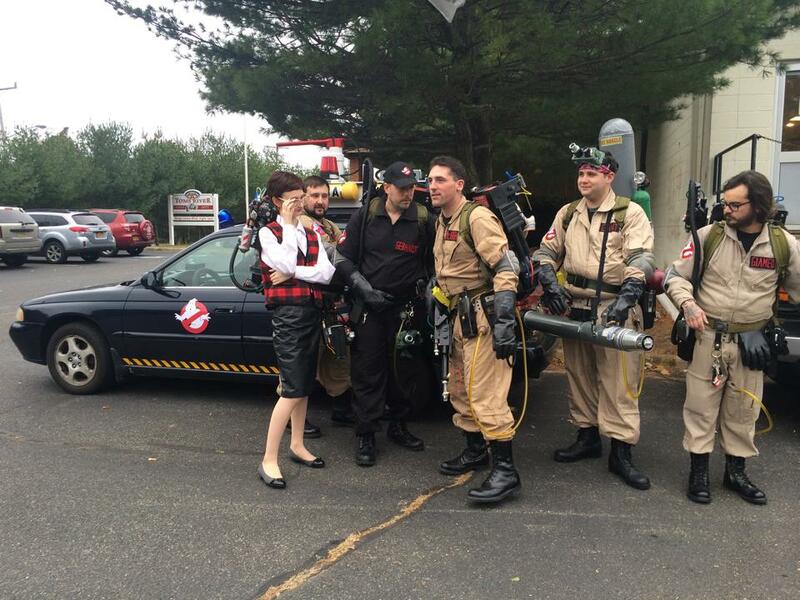 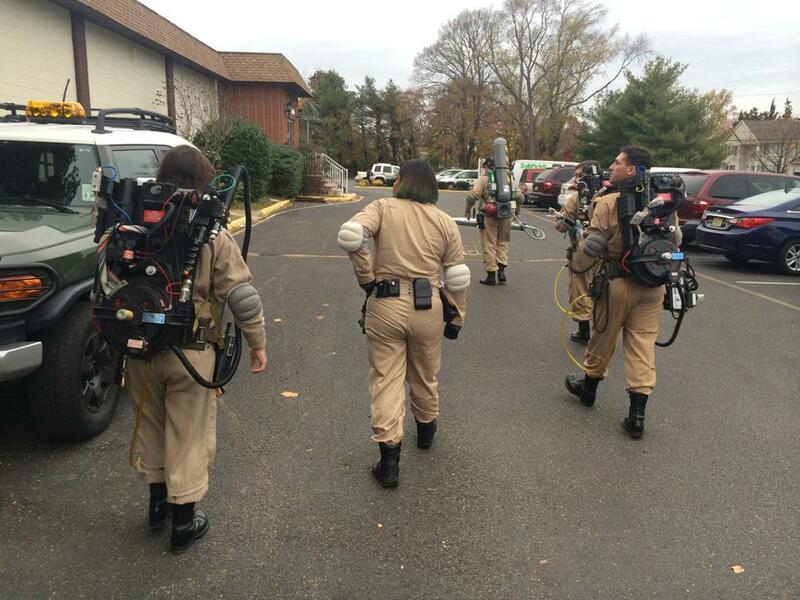 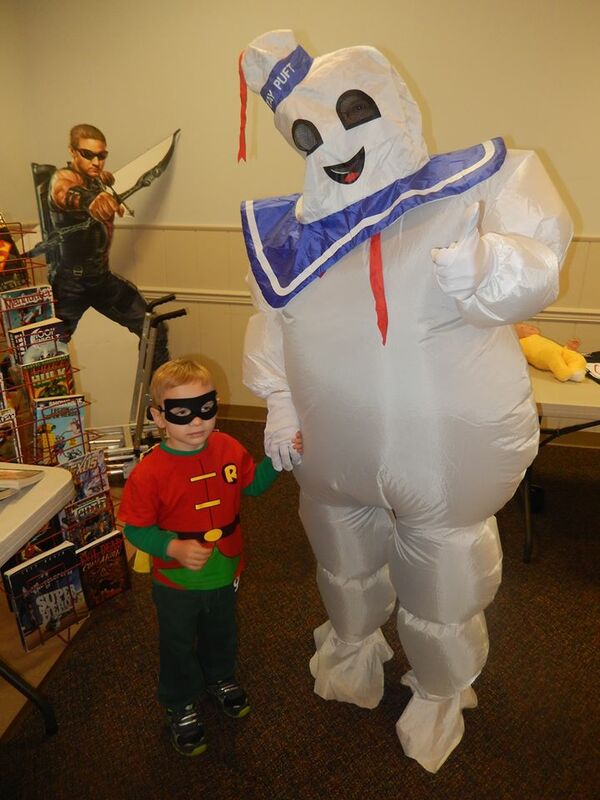 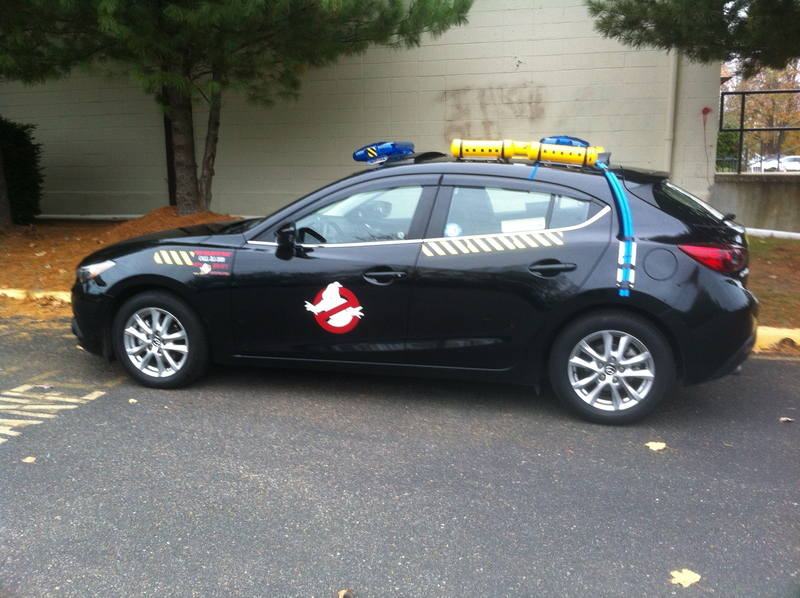 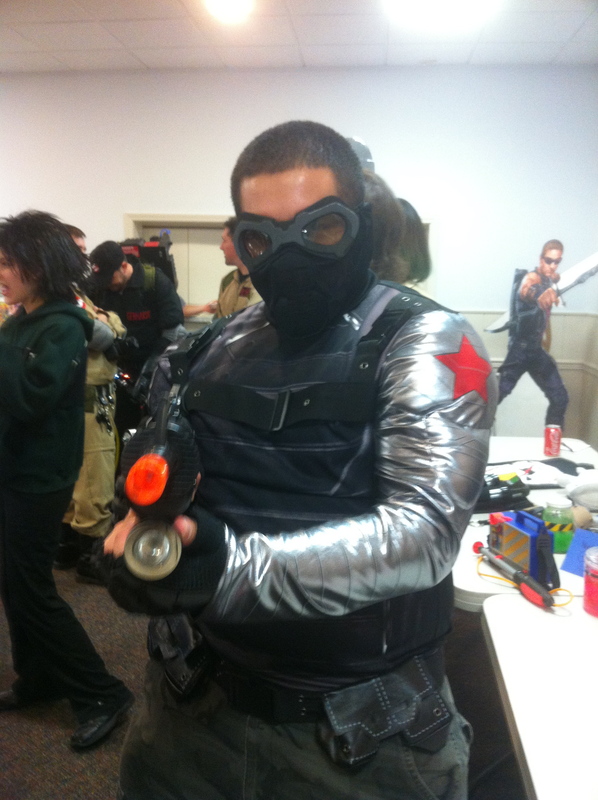 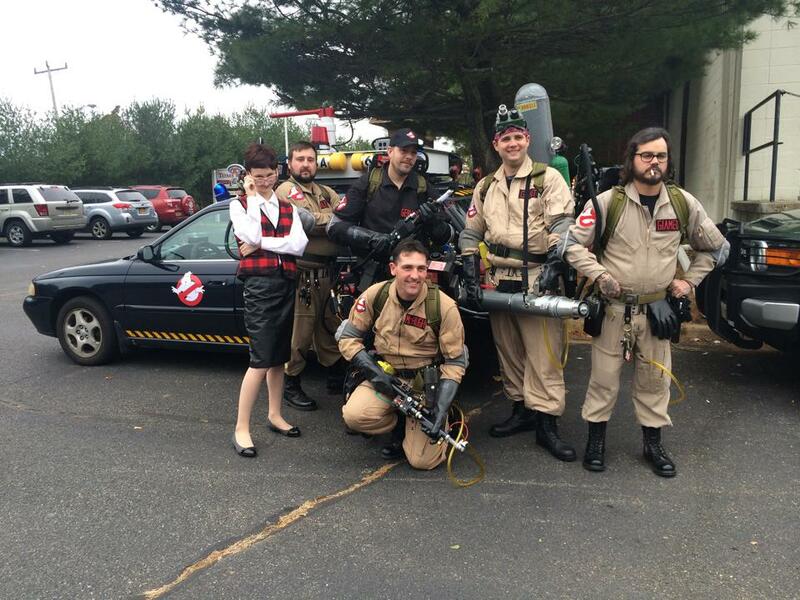 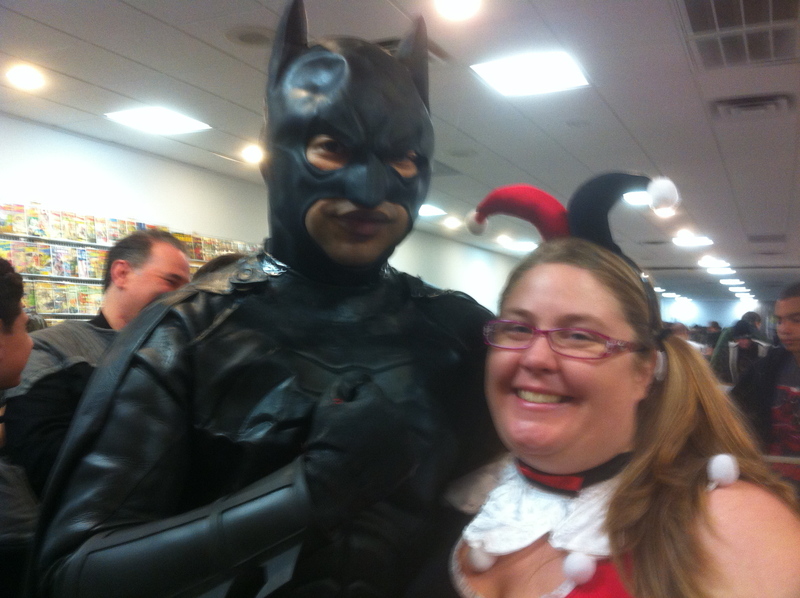 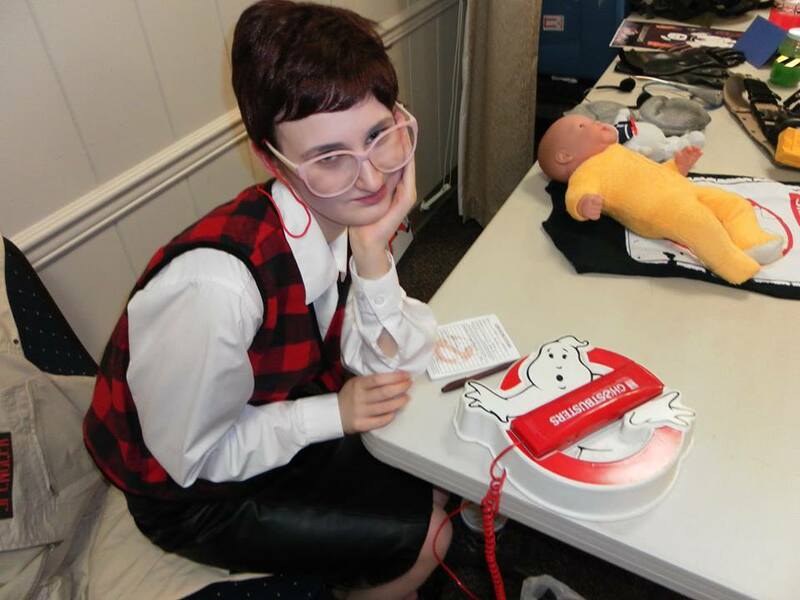 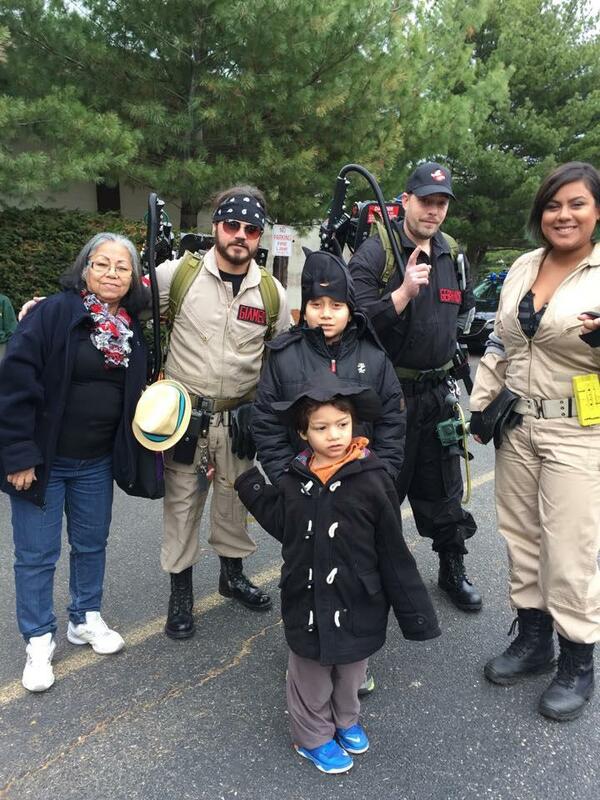 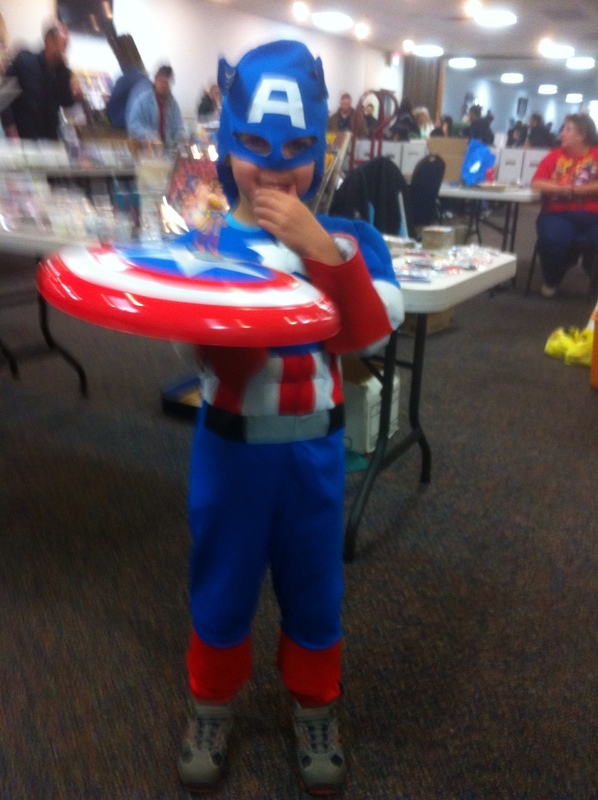 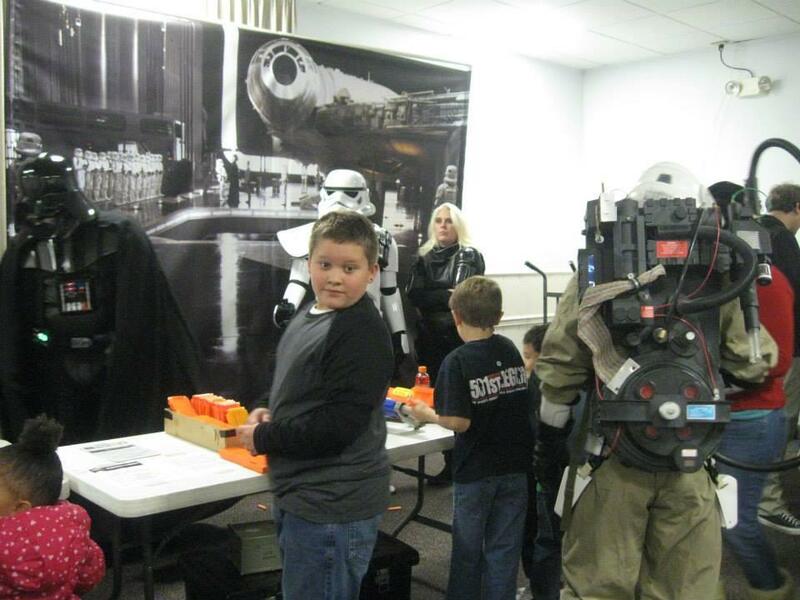 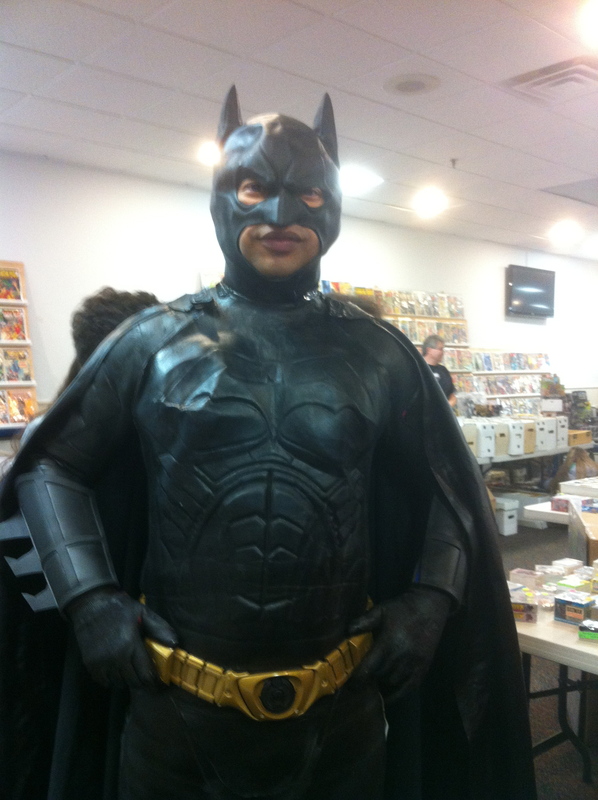 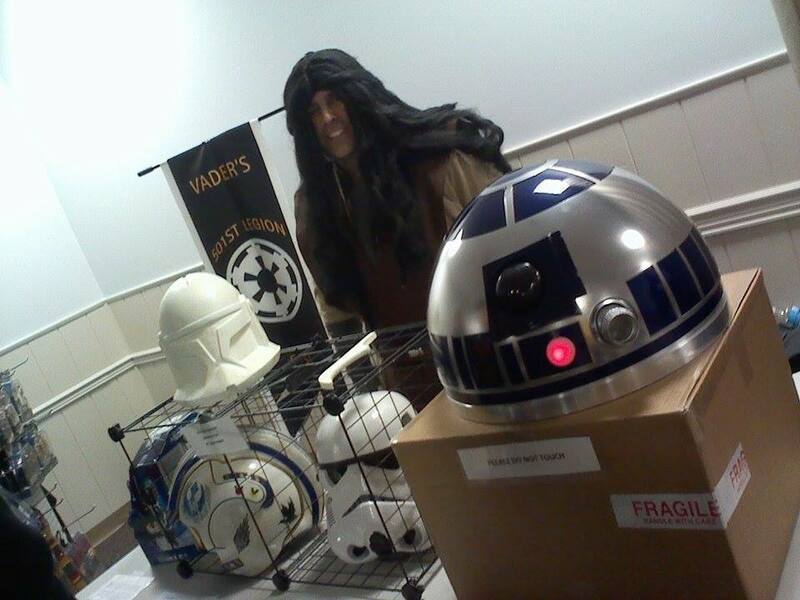 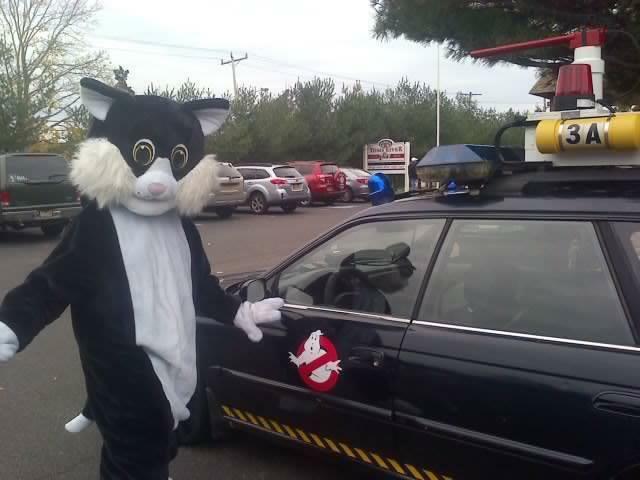 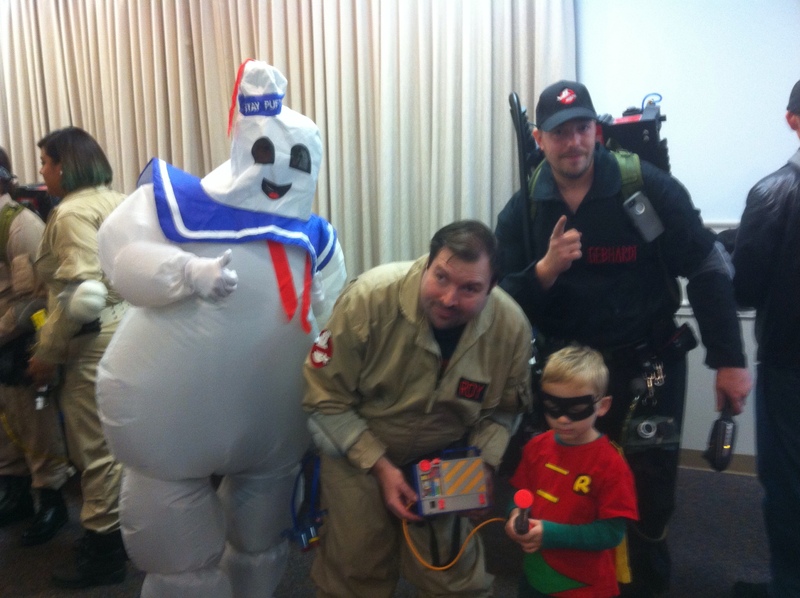 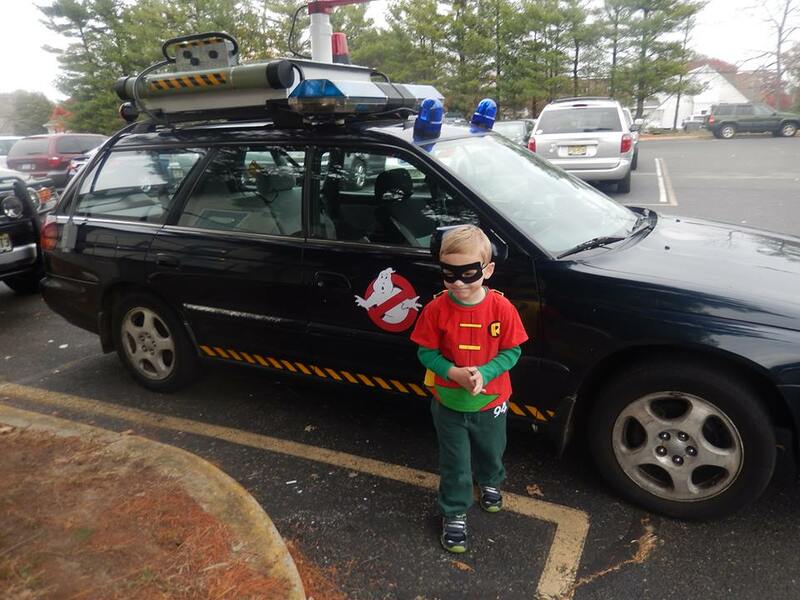 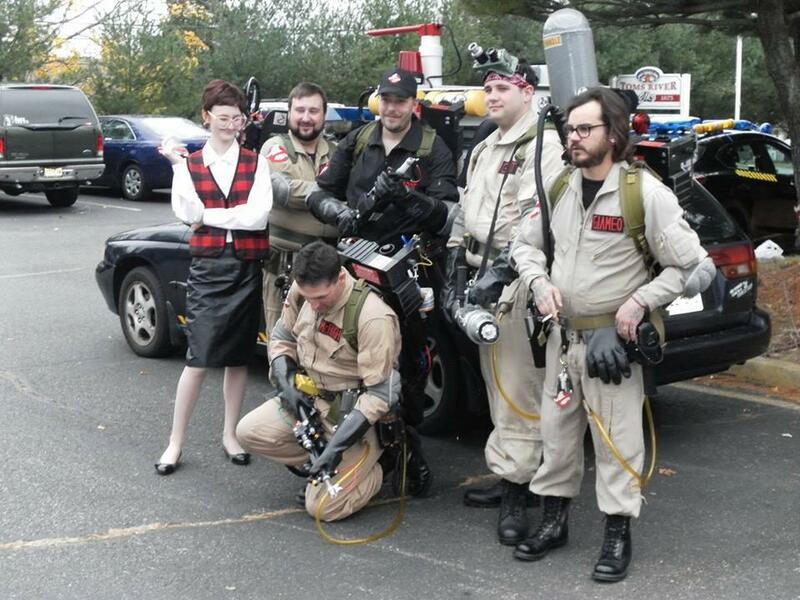 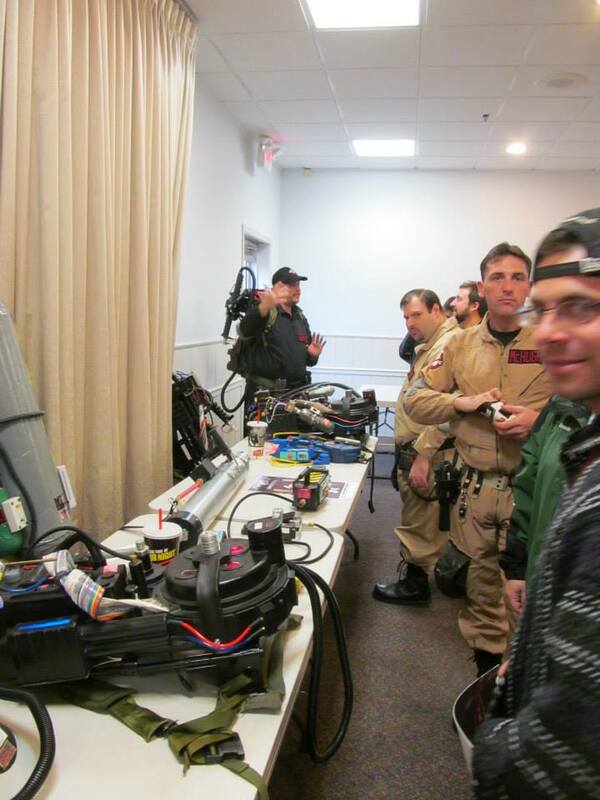 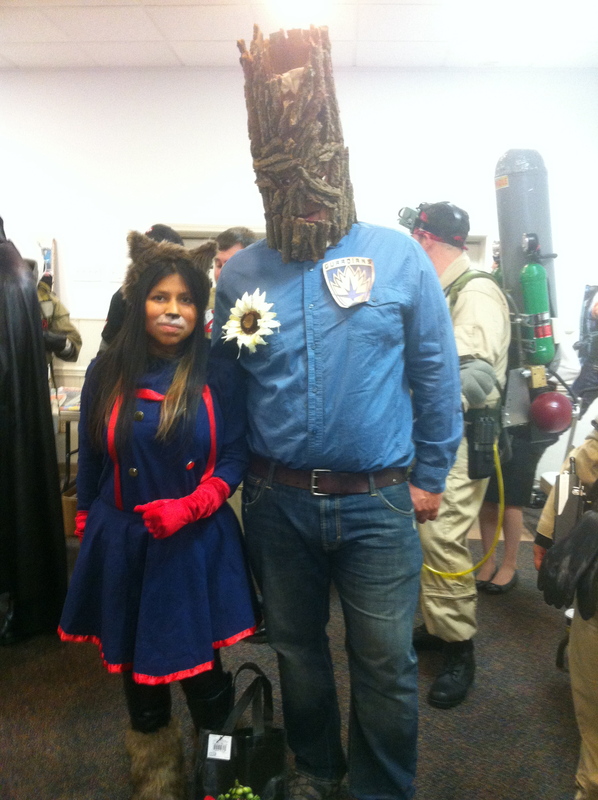 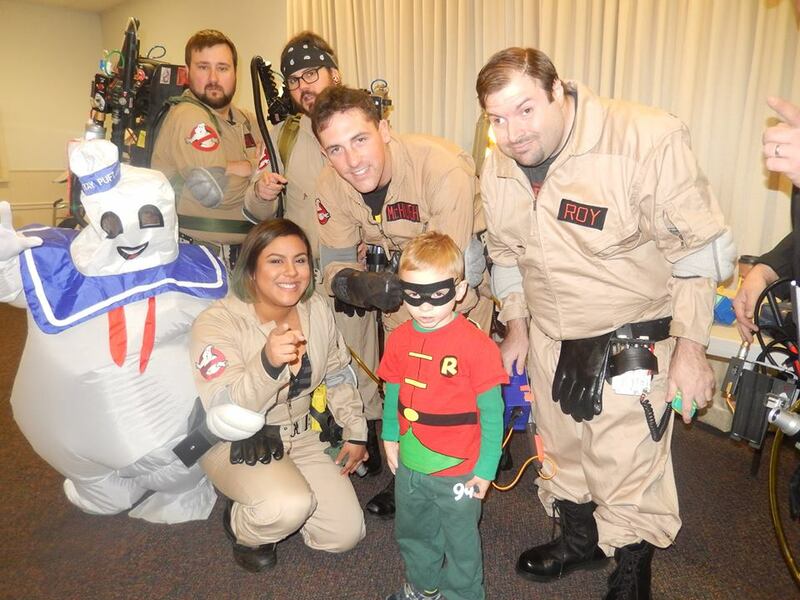 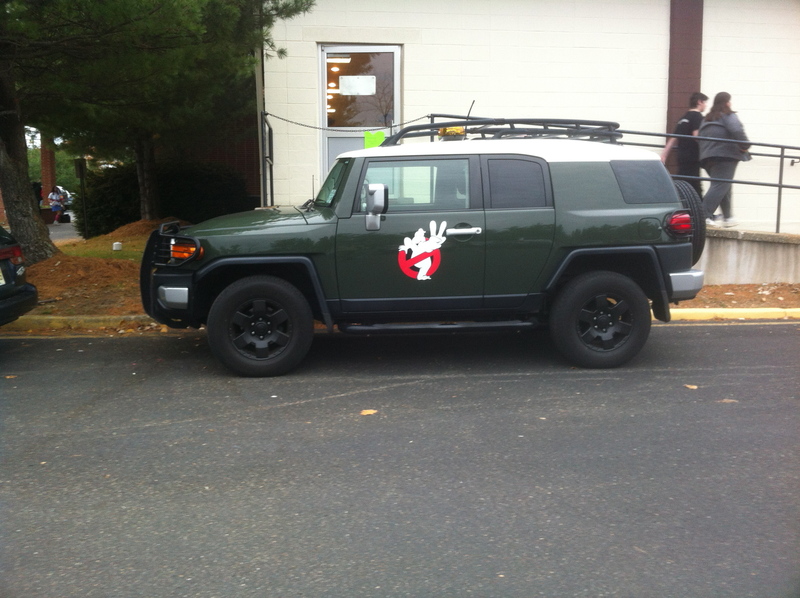 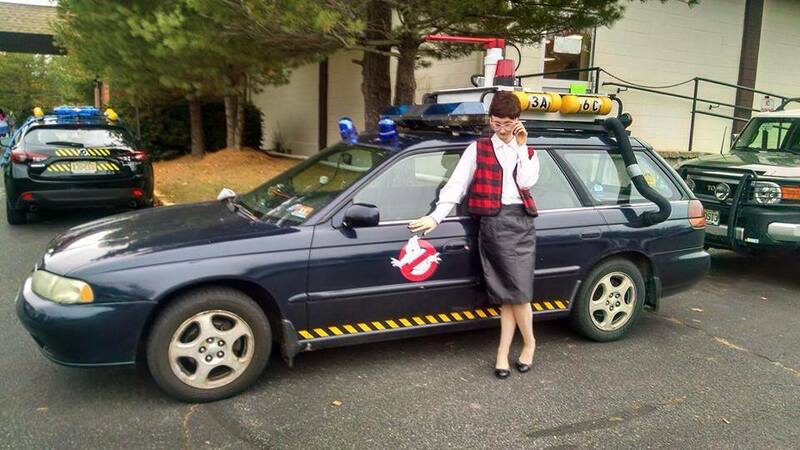 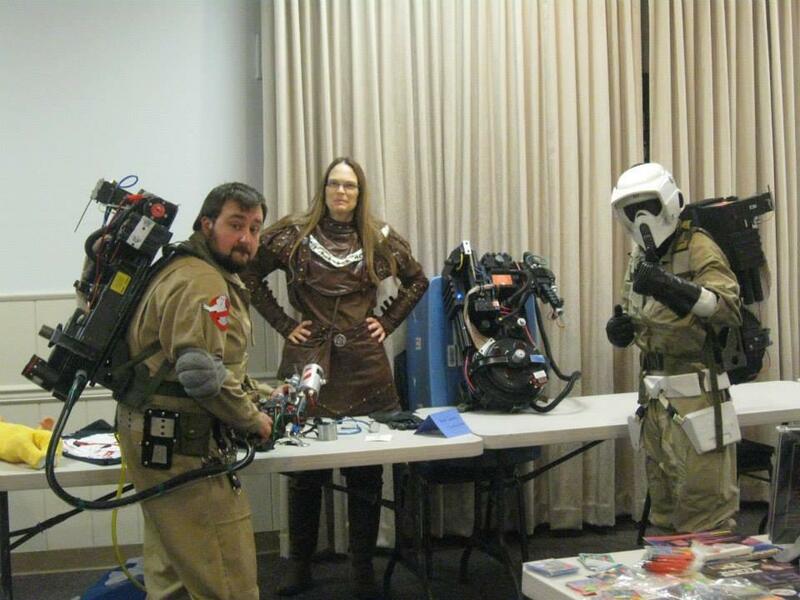 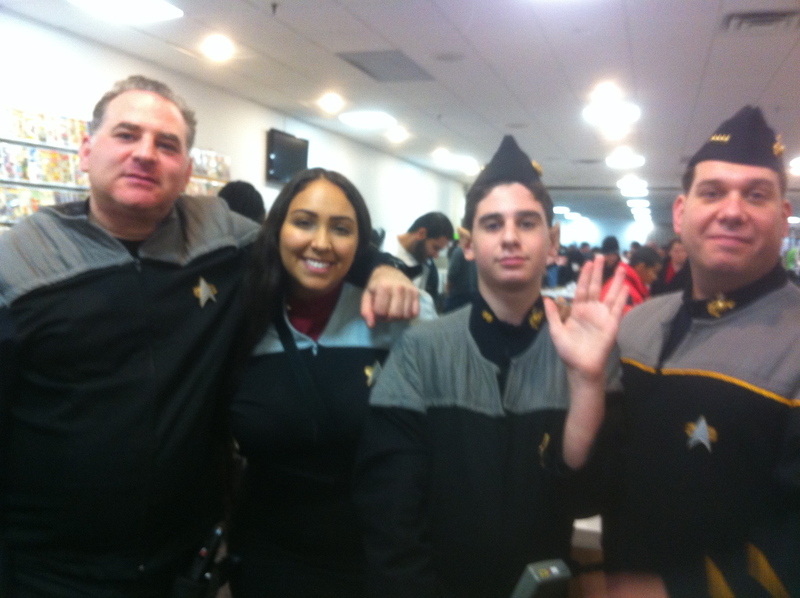 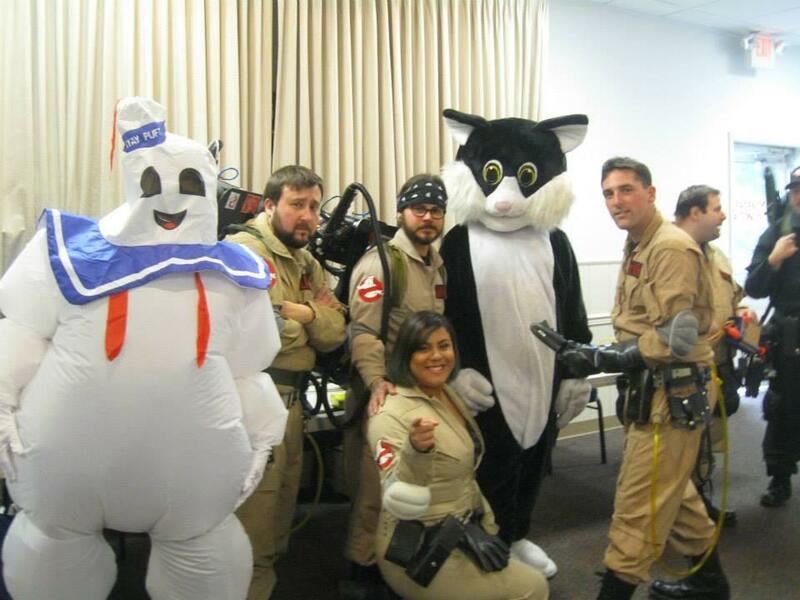 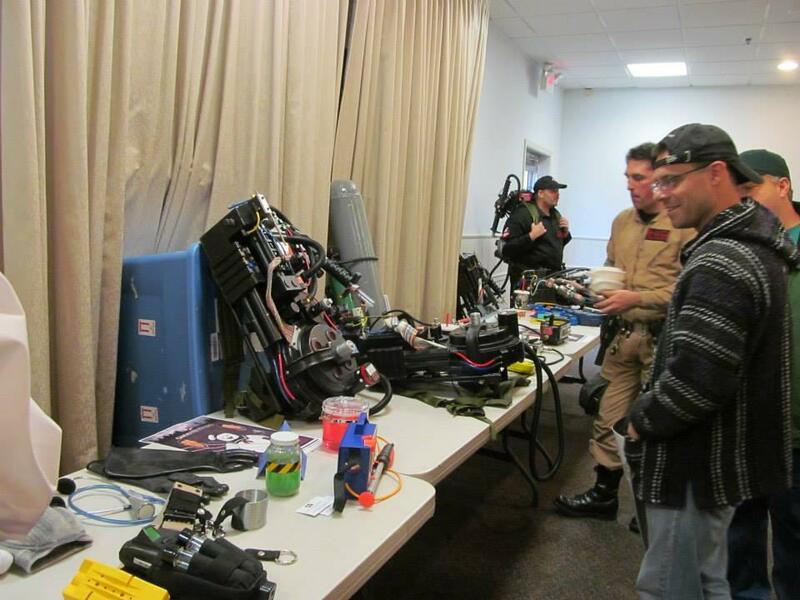 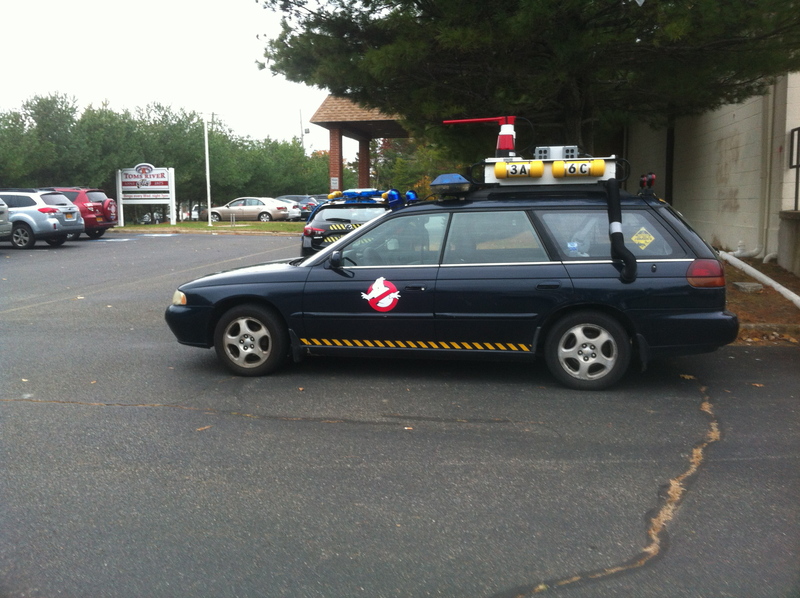 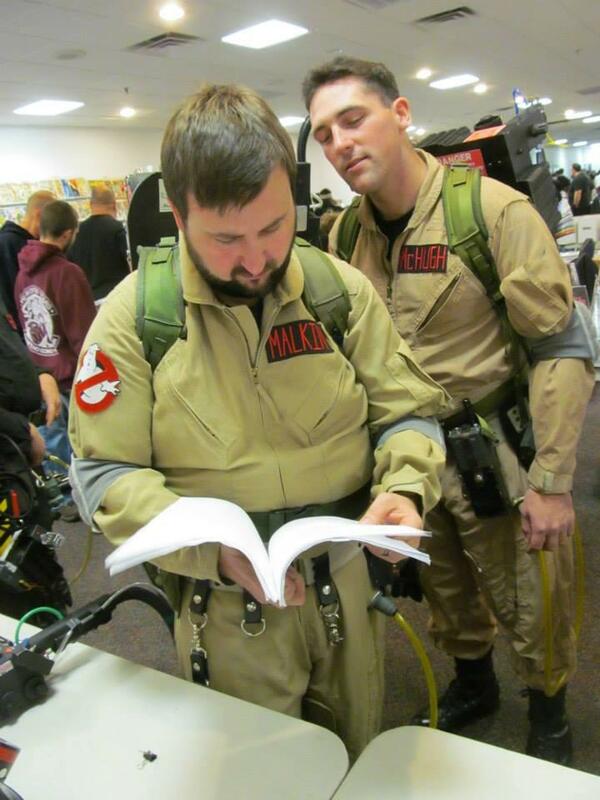 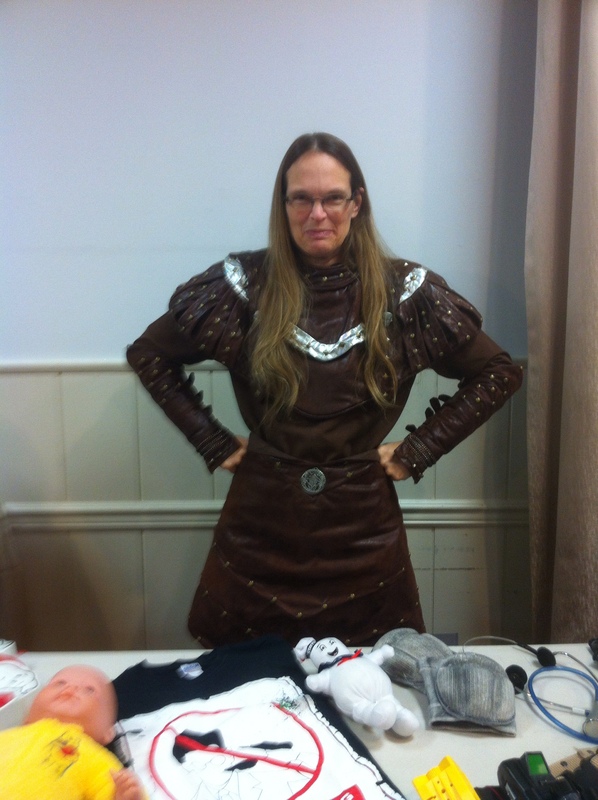 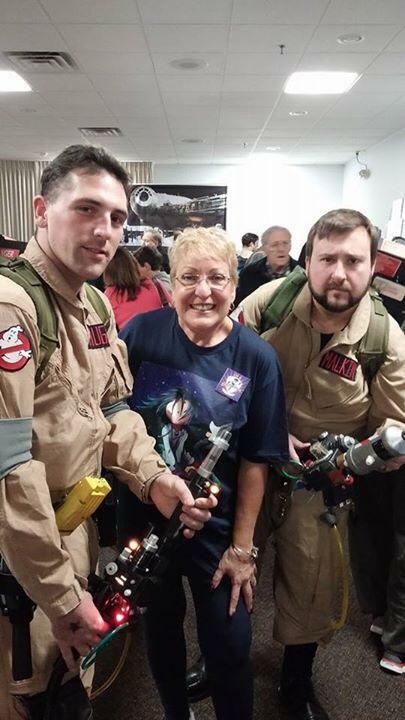 On November 16, 2014 Ghostbusters NJ personnel and North Jersey Ghostbusters met up at Central/South Jersey’s premiere comic show, Jersey Shore Comic Book Show. 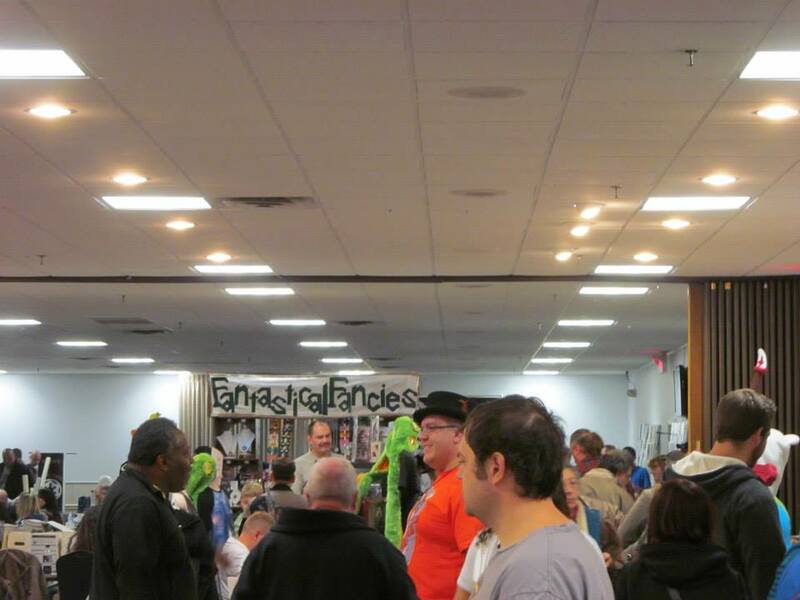 As guests we were given not one, but three tables which we didn’t know about beforehand. 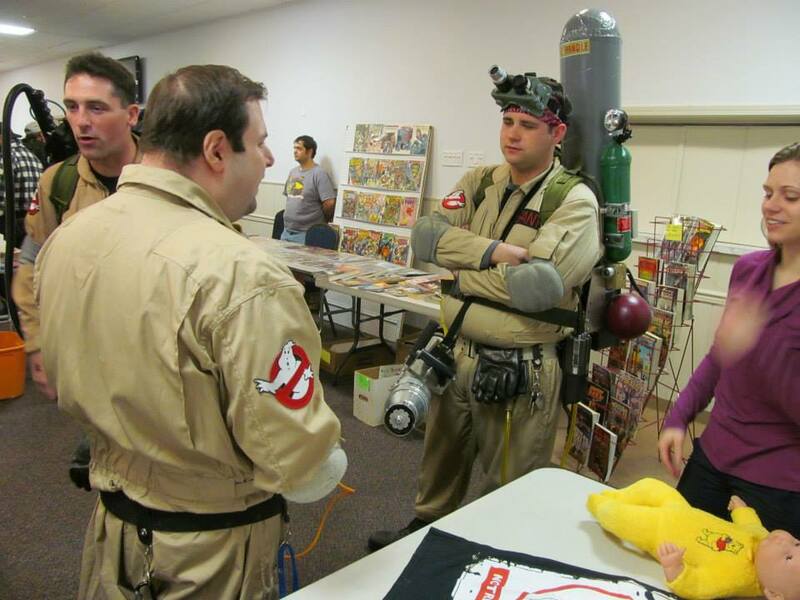 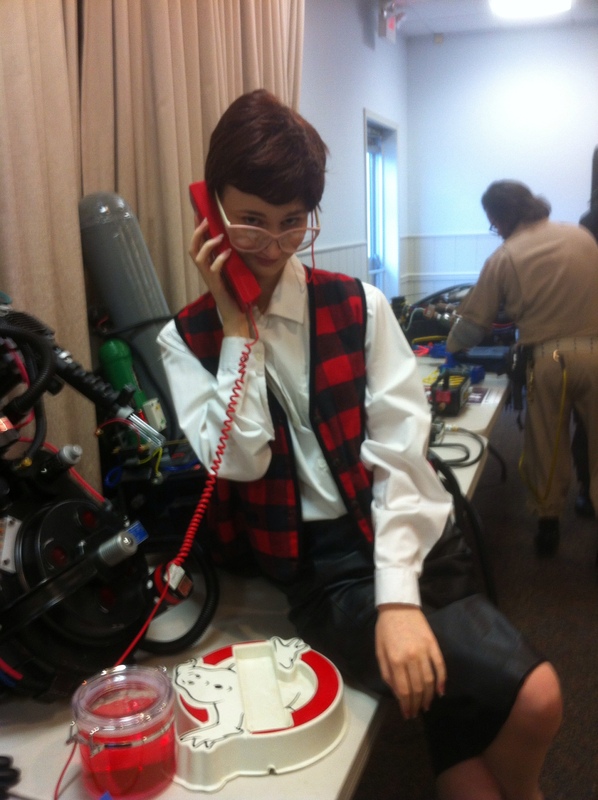 Fortunately we had a decent amount of suits, gear, ectoplasm, (they were in jars) The Real Ghostbusters toys, and promotional material with us.